We've Been There Before: Gig Poster Thursday - A New Weekly Post! Gig Poster Thursday - A New Weekly Post! A new weekly post dedicated to one gig poster in my vast collection. Gig posters are what keep a concert fresh in your memory. Looking at a poster can bring me back to the day of that concert, what was going on in my life, where I was living, my excitement leading up to the show and most important provide me a vivid memory of the concert itself. 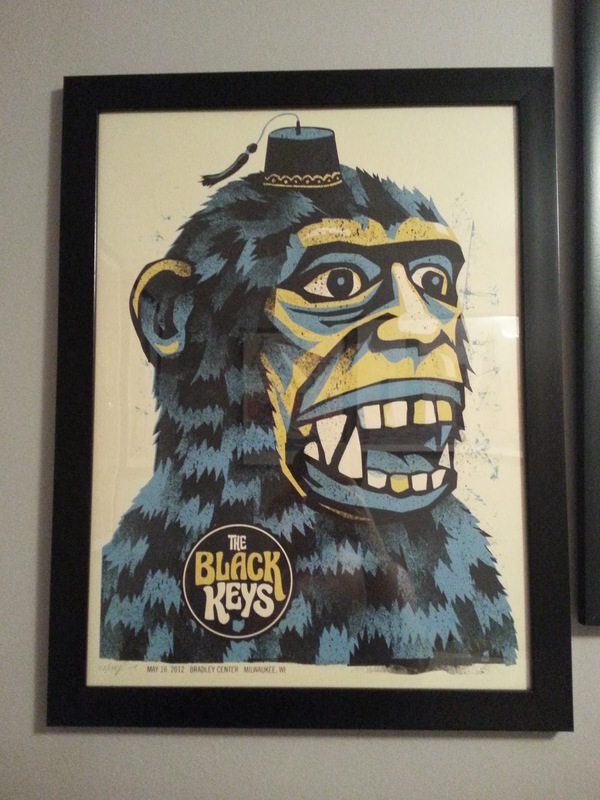 Gig poster forums are all over the web and I hope this post serves as the same type of "gallery" to appreciate the art on the poster. However, I hope this post also gives almost a re-opening of a time capsule for myself and for those others that were at the same show. The great thing about a gig poster is you do not have to be a fan of the band (although it helps) to appreciate the artwork. You COULD be a fan of the band and that is why you like, you could be a fan of the artist who created the poster, but you could simply fall in love with the art itself on the poster. Personally, my favorite posters bring me back to the very day of the concert and help keep me attached to those memories. This poster reminds of a great year of music and album releases. You had Jack White's Blunderbuss, Dr. Dog's Be The Void and of course The Black Keys El Camino. The Black Keys toured hard in 2012 and 2013. They hit every major city and mostly every major festival. I saw them 4 times on that tour: at Chicago's United Center, Milwaukee's Bradley Center, Lollapalooza and Forecastle. El Camino was produced to play every song in front of a concert audience. Dan Auerbach had stated that several times. Dan and Patrick kept it moving the whole set. Ugh, I wish I could go back in time to sneak down to great seats and enjoy that moment again. 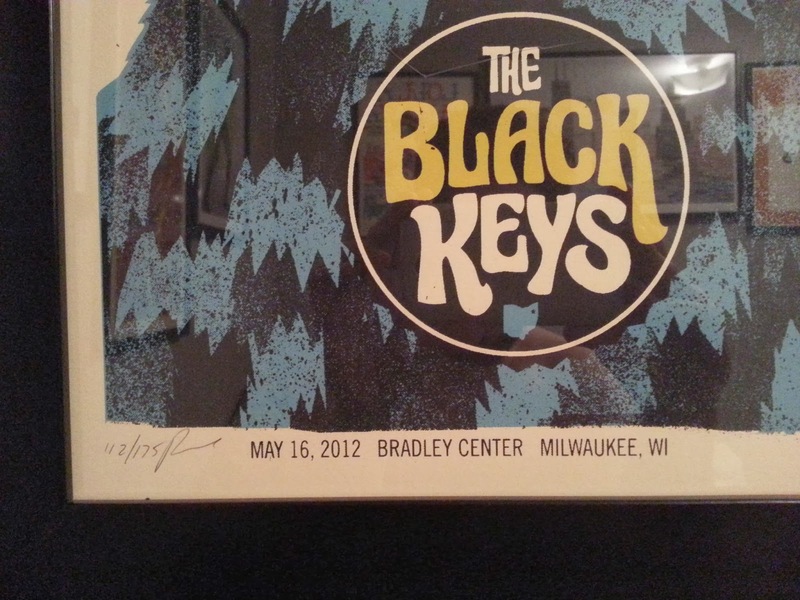 The Milwaukee show's poster was my favorite of those 4 shows and is in fact my favorite poster in my whole collection. Methane Studios created this masterpiece. I have seen a lot of their other work on gigposters.com and they are all worth framing. I love the colors on this poster that blend perfectly over a bit of an off-white canvas. The blue, yellow and black make the monkey head pop. I love this guy. The fez hat is what puts this above the rest of the posters in my collection. What's better than a fez hat on anything? Furthermore, what's better than a fez hat on a monkey? Monkeys with fez hats. Match made in gig poster heaven.